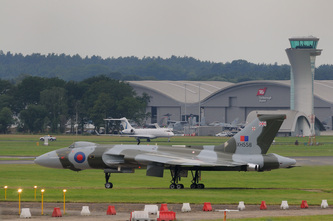 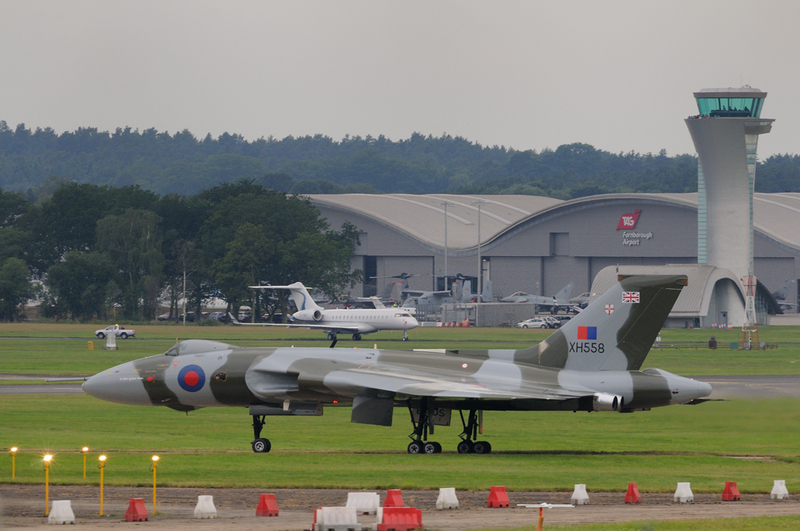 Few aircraft on the airshow circuit create as much interest as XH558. 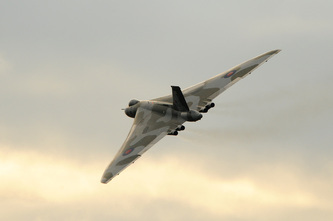 This is hardly surprising as in the air or on the ground there is nothing much else that can really equal the Vulcan. XH558 is operated by the Vulcan To The Sky Trust which is funded entirely by charitable donations. The aircraft is registered on the civil register as G-VLCN and is named The Spirit Of Great Britain. 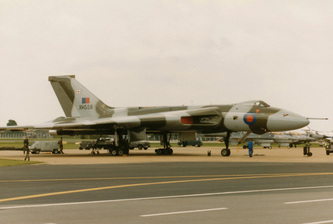 XH558 served with the RAF between 1960 to 1985 and was the official display aircraft from 1986 to 1992 until budget cuts brought her display days to an end. 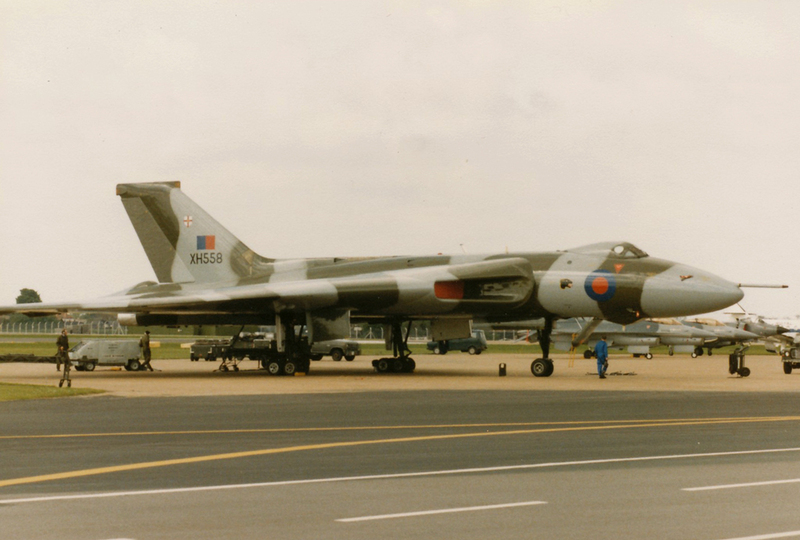 Before 1986 the Vulcan display was undertaken by sister B.2 XL426. 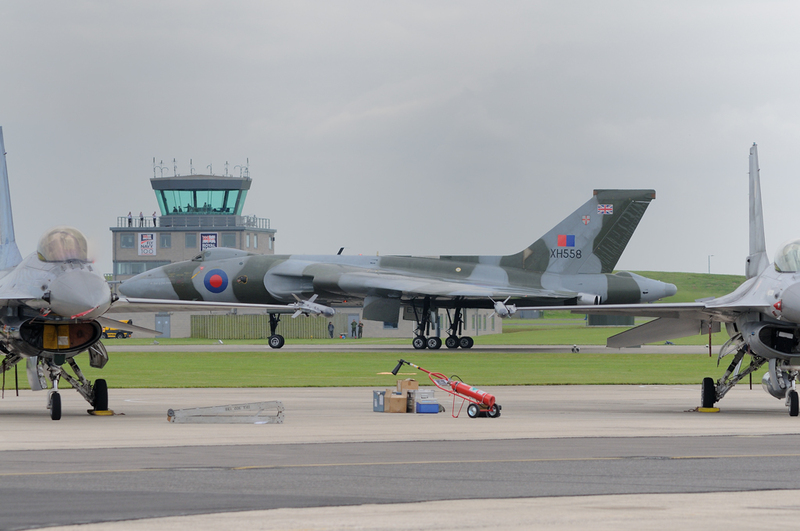 Following retirement XH558 was taken to Bruntingthorpe where the aircraft undertook fast taxy runs at events held there. During this time strenuous fund raising and restoration was undertaken with the aim of returning the Vulcan to the sky. 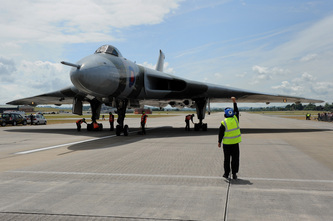 This mammoth task was achieved when the aircraft taking to the air on 18 October 2007. 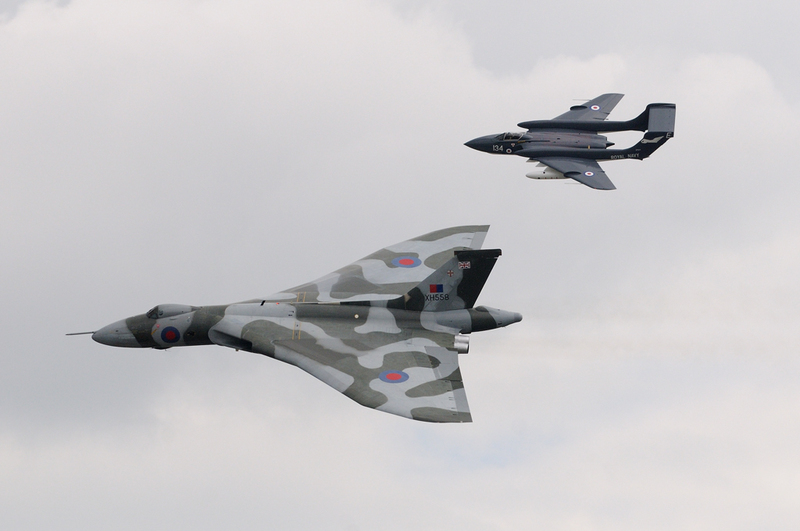 The Vulcan performed her first public display at RAF Waddington's Airshow in July 2008. 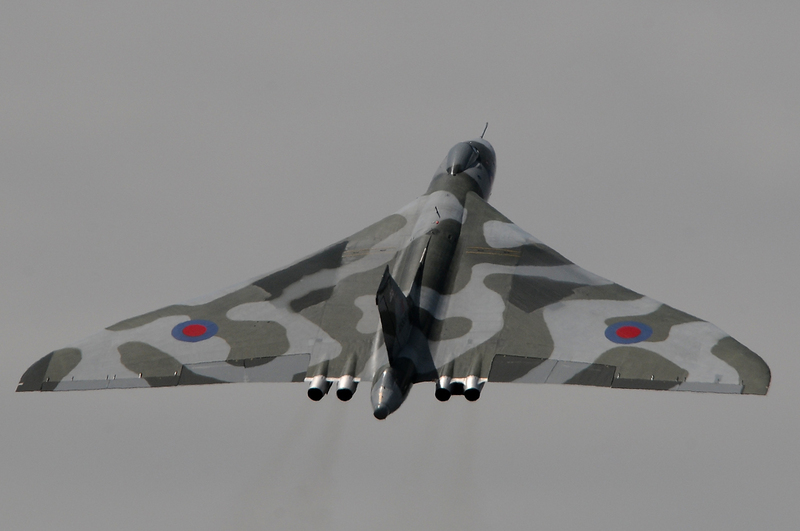 Since then the Vulcan has continued to display and never ceases to amaze the crowds with the howl of her Olympus engines. 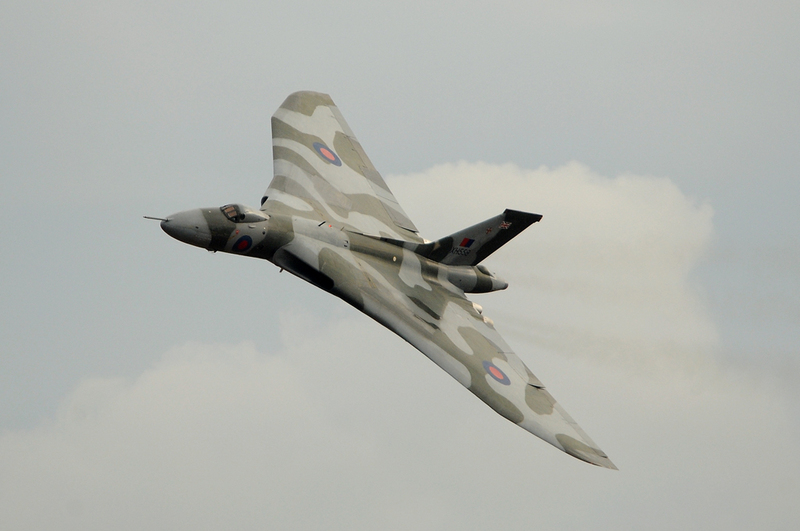 Keeping an aircraft such as the Vulcan in the skies takes a colossal amount of funding and there are hopes the aircraft will continue to be seen in the skies until 2015.